Why come to Powell River? 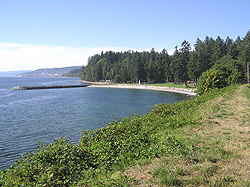 Powell River's climate is the mildest in Canada. 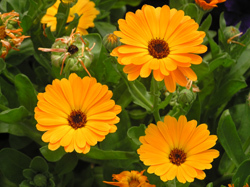 We average close to 2000 hours of sunshine and only 104cm (40 inches) of rainfall each year. The city of Powell River is the commercial centre for the region. A modern hospital, first-class recreation complex, government offices including Customs and Immigration and a full range of services are available here. There are several shopping areas, including indoor malls, independent retail outlets and some excellent West Coast dining. Powell River's Townsite is a designated National Historic District, the only one in Western Canada. Valued for its architectural and social history, it is still the site of one of the largest pulp and paper mills in Canada. Texada Island, a half-hour ferry ride from Powell River, is the largest of the Gulf Islands and has the oldest European settlements in the area. Sliammon Village, just outside of Powell River, is home to the Sliammon First Nation and has a wonderful Salmon Hatchery to visit. Savary Island, a short water-taxi ride away from Lund, is known for its warm waters and miles of white sand beaches. One of Powell River's greatest assets is water. It moderates our climate, supports abundant sea life, supplies household and industrial users and provides residents and visitors alike with world-class, year-round recreation opportunities. Powell River is the Dive Capital of Canada. There are more than 100 known dive sites in the area and our waters are home to some of the largest wolf eel and octopi in the world. World-class salmon fishing and a full service support industry make it easy to hang out the "gone fishing" sign. As well, 30 accessible freshwater lakes provide cutthroat and rainbow trout, steelhead and kokanee salmon. Boating, canoeing and kayaking opportunities in this area are exceptional. 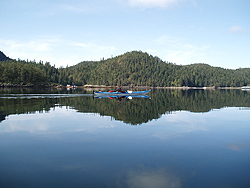 Experience the unrivaled beauty of Desolation Sound and Copeland Islands Marine Park, or the famed Powell Forest Canoe Route. All services are offered locally, including boat and equipment rentals, guides and cruises. Hiking and biking trails vary from easy to demanding, with trips from 15 minutes to 10 days and routes from oceanside to alpine meadows. 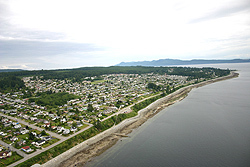 Opportunities in the Powell River area are virtually limitless. Ask a local enthusiast, or look for trail books at the Powell River Visitor's Bureau on Marine Avenue or the Forest Service Office on Duncan Street. Golf, Curling, Tennis, Ice Skating? Well-developed services, including an 18-hole par 72 Championship Golf Course make for easy access to all these recreational activities and more. Come visit Powell River today!! Email us to make your reservation or for more information visit our links page.